Cats might be wonderfully contented creatures who very much embrace the fact that they’re engineered to sleep for around 20 hours each day, but that hasn’t stopped a rogue band of felines from forming their own highly-energetic adventure cats movement. Yep, that’s right! 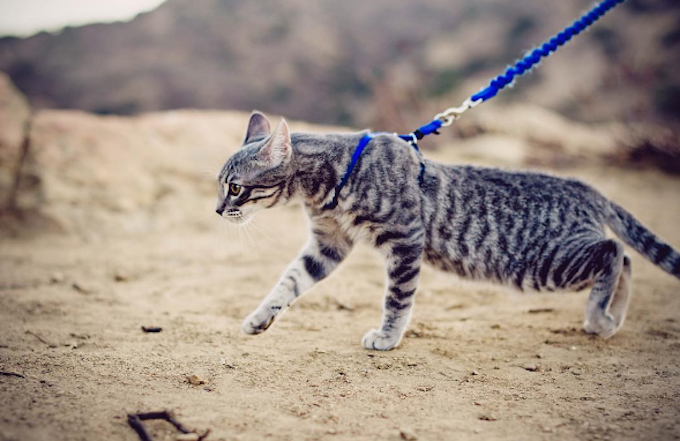 There’s a select group of cats out there who like strapping on their harnesses and wandering, hiking, and even sometimes sailing through the outside wilderness with their owners. 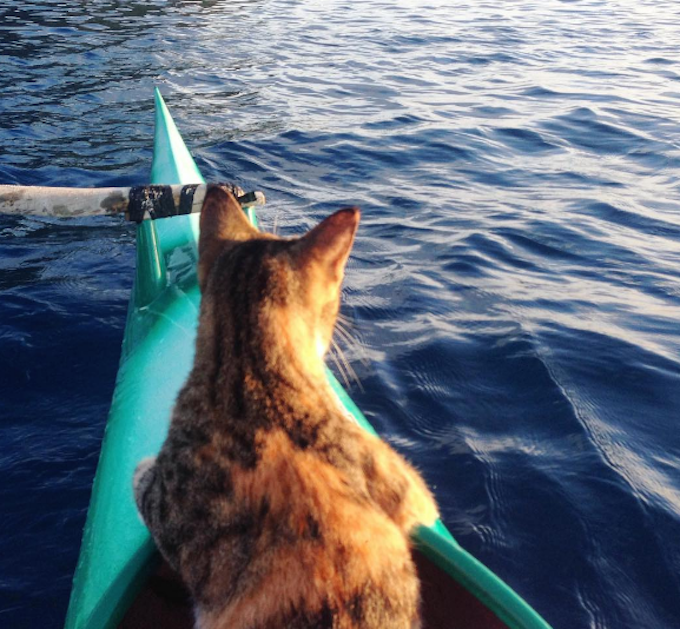 Here’s a snapshot of ten of the most thrilling adventure cats out there today. 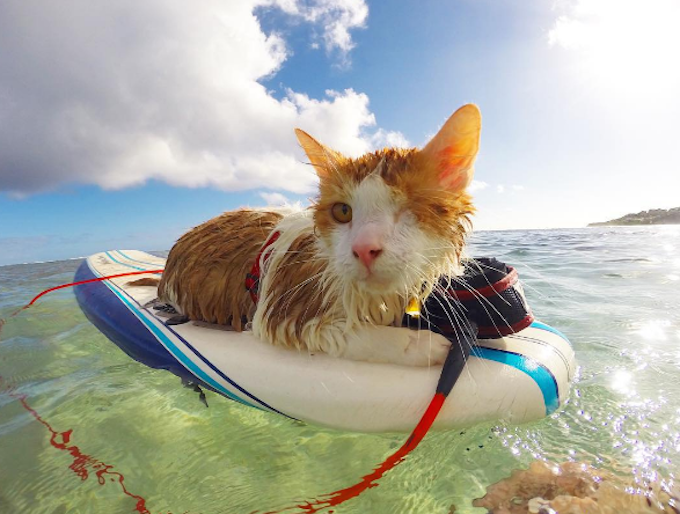 You too will believe a cat can surf once you check out the Instagram snaps and videos of Kuli, a one-eyed water lover who chases waves in Honolulu. 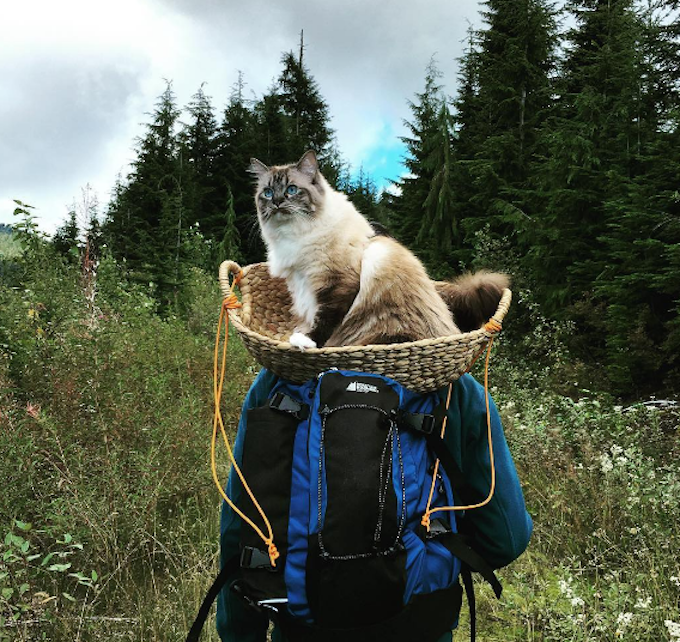 Michiko is an adventure Ragdoll who’s all about chasing that mountain life up in Vancouver, Canada. Well, that’s when this Lynx Point isn’t catching a break by perching in her human’s wicker basket. 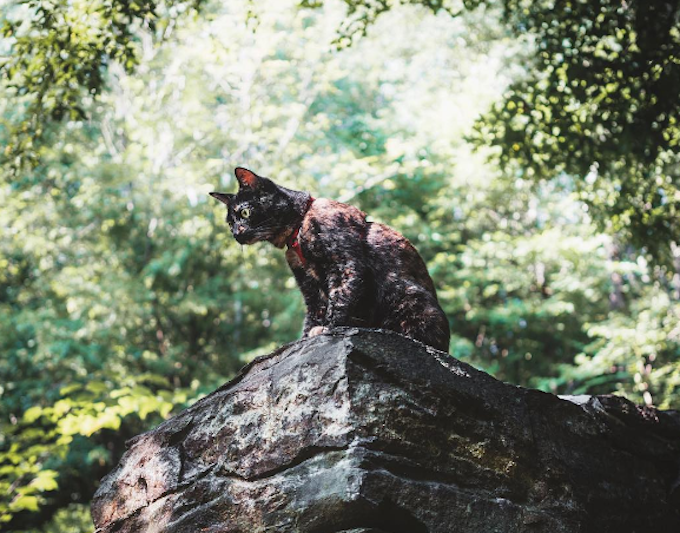 Eevee the Tortoiseshell is a southern star of the adventuring scene. Under the watch of her human, Emily, you’ll find this inquisitive kitty exploring the greener side of their home state of Georgia. 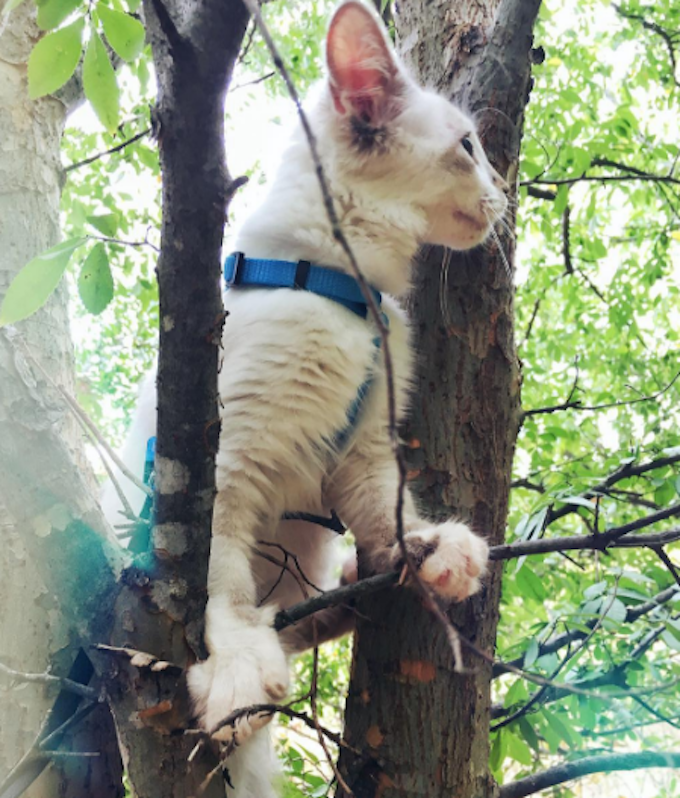 Going by the grandiose moniker of Ozmandias Squeek, you’ll find Ozzy bragging about his ability to conquer kitchen counters and scale (as he puts it) “meowtains.” Photo proof of this fresh faced kitten in action backs up his action-packed claims. 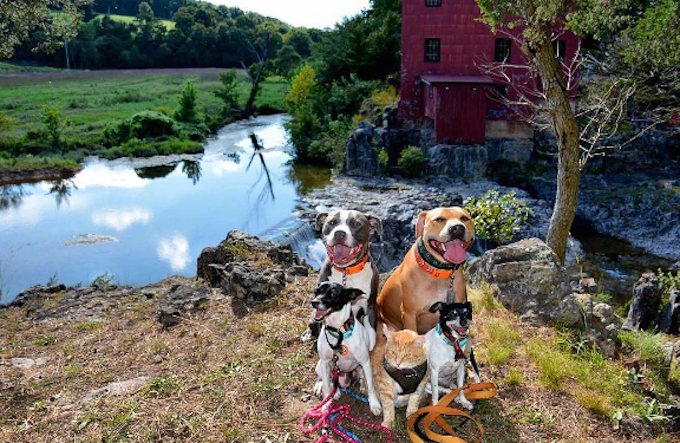 Mia’s not only a bold and fearless adventure cat, but she goes on outdoors escapades with the four rescue dogs she lives with. It’s no surprise that she’s picked up the nickname Catdog. 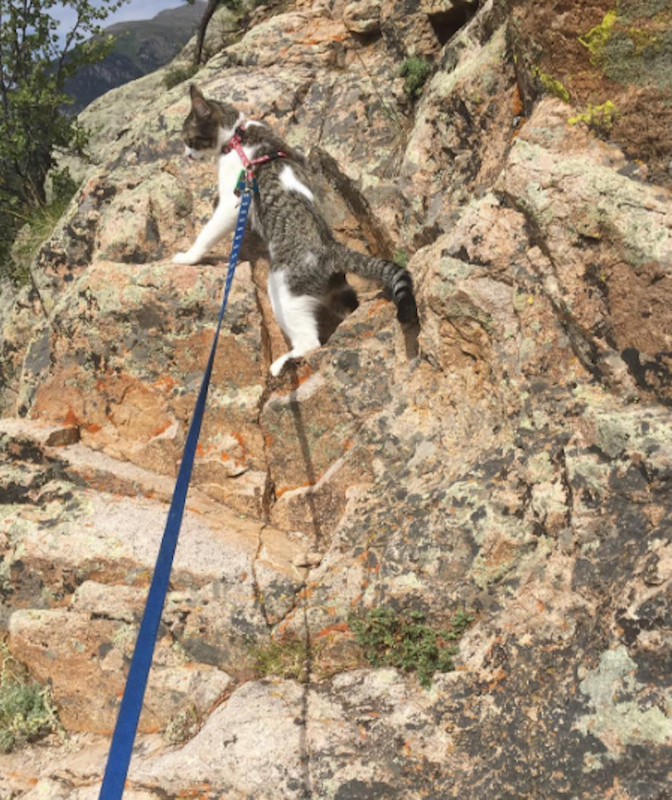 Let’s give it up for these two rock climbing and creek crossing kitties who like to recuperate from scaling such great heights by camping with their humans. Amelia likes to bill herself as a “tropicat” while she sails around the world with her owner, Captain Liz Clark. When it comes to a ship’s mate, she’s top notch. 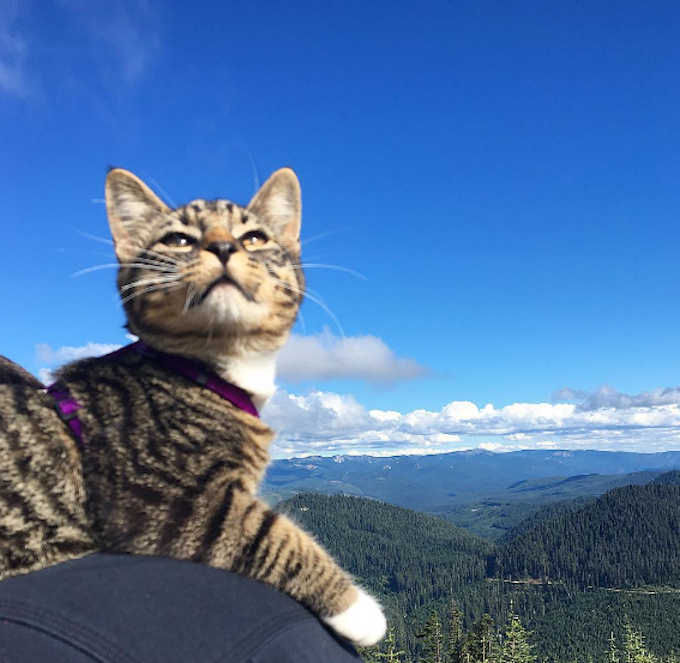 If you find yourself in the bucolic climes of Greenwater, Washington, don’t be surprised if you come across an excellent adventure cat going by the name of Toby. If there’s a panoramic view in the area, it’s a guarantee that he’ll find it. 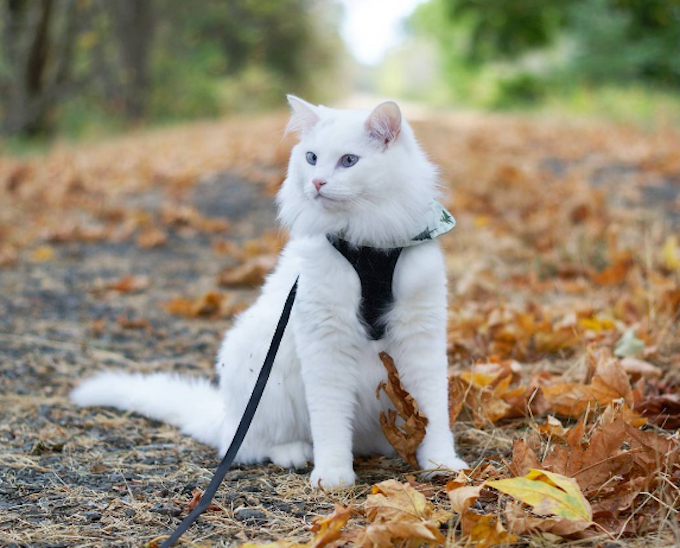 Enjoying the al fresco scene out in Oregon, Byakkko is a Turkish Angora who is all about heading out on hikes now that summer is finally turning into fall. Just don’t get that pristine white fur dirty, okay?